ESTsoft takes over OGPlanet to self-publish Cabal Online in the North America. The move was decided because the existing publishing agreement with OGPlanet expired. ESTsoft established a local branch office in the United States to take over the operation. 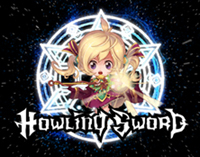 ESTsoft announced the publishing agreement of its new casual action game Howling Sword with Gamepot. Japan will be the first country to be launched even before its local market in Korea. ESTsoft, a previously well-known company for its software tools in Korea,?announced that its in-house development, Cabal Online, signed a series of publishing agreements with local partners; PT. Speed soft for Indonesia, Gameforge for German, Nival Network for Russia. The game has been serviced in Korea since 2005.